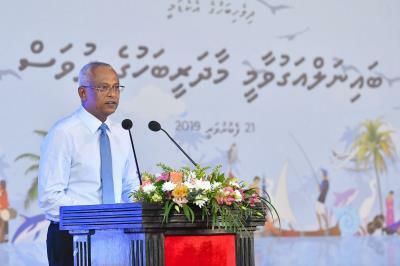 President Ibrahim Mohamed Solih has stated that it is every Maldivian’s national duty to shoulder the responsibility of upholding our own language, especially when writing, everyone should follow the rules and standards of our own language. 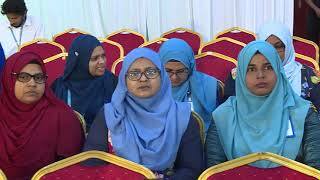 He made this remark while speaking at the ceremony held at Dharubaaruge to celebrate International Mother Language Day. At the ceremony, the President emphasized that our mother language is a priceless and meaningful part of our heritage. Therefore it is every generation’s duty to protect it. Likewise, he noted that in order to grow and develop our mother language it is important to create a national policy for the language. 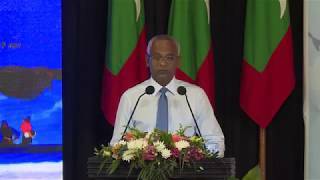 The President also highlighted that his administration is ready to assist in integrating the Dhivehi language with modern technology. Moreover, he highlighted some activities that could be done to promote the Dhivehi language. Noting the importance of loving our own mother language, the President stated that linguistic diversity plays a key role in attaining sustainable development in the nation. Shedding light on this year’s International Mother Language Day slogan, the President stated that mother language is the bridge that connects people and progress. He also noted that our mother language helps to maintain peace and prosperity and also fosters tolerance and respect for each other. Concluding the speech, the President stated that we came this far as a nation while preserving our language. And so we as Maldivians, should find happiness in having our own language through the pride we have have for our age old heritage.